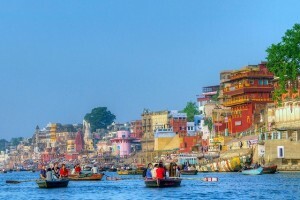 Varanasi is known as the spiritual city of India with hundreds or temples lined up on its sacred ghats. 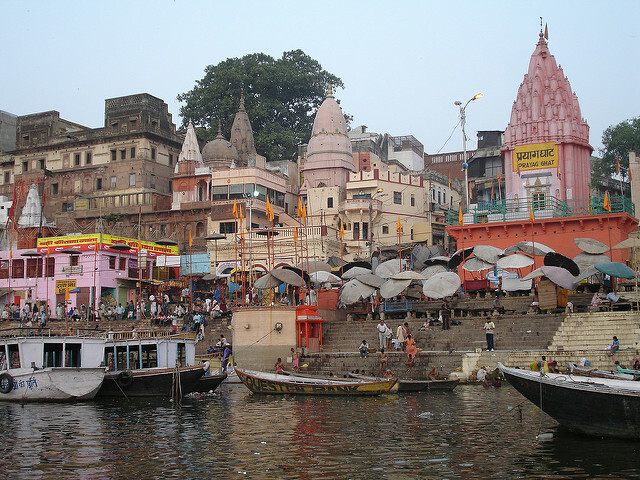 The city is situated on the banks the Ganges river which is considered pious and sacred by Indians. The city has been inhabited since 11th and 12th century which makes it one of the oldest cities in the country. Also known as Benares, Banaras or Kashi, the city has around ghats which offer breathtaking sunset and sunrise views. The city attracts Hindu pilgrims who bathe in the Ganges River’s pious waters and perform funeral rites. 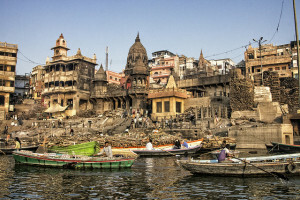 The best way to explore the ghats and the cities major temples is by a boat ride. A sunrise boat ride is the most serene things to do. The ghats witness many spiritual and religious practices throughout the day. It’s all very appealing and attractive for outsiders while for the inhabitants it’s a mundane routine which they v been carrying out since years. Our stay in the city was overwhelming as our hotel was just a few minutes away from these fascinating ghats. The hotel was very affordable and was situated in a calm area though the entire city is busy and noise throughout the day. For weeks we just enjoyed the views from the ghats, going up and down. 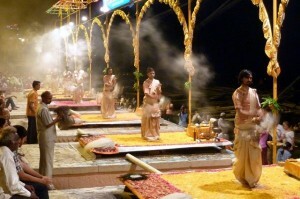 Watch the morning bathing rituals, and witness cremations taking place at the ghats. We were first surprised and later amused by this unspected sight as we saw people wash their clothes in the river. Yes, people wash and dry their clothes on ghats in Varanasi. They lay them across many stairs to dry out. These simple actions of simple living in Varanasi are soothing and positive. We gave our clothes to the hotel management for washing and made it clear that we wanted to get our clothes washed in a machine than on a ghat. In India they worship sun, moon, ocean and the river as well just like Ganges is honored as the goddess ‘Ganga.’ A huge number of Hindu pilgrims come to the city to bathe in the holy Ganges as it is believed that the waters wash away their lifetime sins. Pilgrims bathe in the river and pour water to sun. There are as many as 81 bathing ghats and other holy kunds in the city which witness thousands of bathes and prayers. 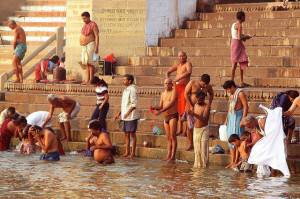 Hindu pilgrims from all across the world travel to India to bathe in the river Ganga. This frees them off vicious cycle of endless reincarnations. Out of the many ghats in the city the Dashashwamedh Ghat is believed to be the main ghat which draws a huge number of pilgrims during sunrise and sunset. People pray and chat at the ghat along with the priests. The most intriguing view is the Ganga aarti when hundreds of lamps are lit in and around the river and payers echo in the air. All the priests and pilgrims recite aarti and hundreds of candles and incense sticks spread the aroma in the air. It is an incredible experience which is very moving and soothing at the same time. There is something innately positive about the whole ceremony and we used to attend the aarti almost every evening. At Chawkighat, people gathered at night to light an elaborate pattern of candles. They all would then pray together until the candles blow out. There is a sense of togetherness in the whole of the city where almost all things are done together be it Ganga bathing or worshipping. Unlike most of the other religions, in Hindu religion dead are cremated as this releases the spiritual essence from the physical body so the soul can reborn in a new body. They also believe that fire scares away harmful spirits, ghosts and demons. Fire is one of the five major elements from which the body is believed to be made up of and Hindus believe that it helps in purification. Families and acquaintances of the dead gather at the ghat for cremation where they burn the dead body in public. The ashes are disseminated in the Ganges River after the cremation is over. The process represents returning of the body to the earth as part of the life cycle. The Manikarnika and Harishchandra ghats are referred to as the ‘burning ghats’ because they are the two main ghats devoted to the public cremation. Women are not allowed at ghats during cremation as it is believed that their cries can interrupt the journey of the soul to nirvana. Large number of woods is stacked at the two ghats so as to ensure that right amount is available to completely incinerate a corpse. On an average 80 corpses are cremated at the two ghats. The Indian government is trying to reduce the number as the process of cremation leads to pollution. While the bodies are incinerated elsewhere, the ashes are still dispersed into the Ganges. The spiritual city of India offers the perfect atmosphere for yoga and meditation. Most of the people prefer to practice yoga during sunrise when the air is fresh and there is little disturbance. We went for an early morning yoga class by the ghats with a professional yoga teacher. With the best efforts from Vishnu and the breathtaking view of the ghats, we really enjoyed the class a lot. While Ganges is referred to as the most sacred river in the world by Hindus, it is also one of the world’s most polluted rivers. Since the river flows through some of the densely populated parts of India, a lot of waste and untreated sewage is released into it by the inhabitants. We met these two boys during our evening strolls by the ghats. These two boys release their poop out in the open and into the river. We preferred not to bathe in the holy river with other pilgrims for the same reason. Varanasi will remain a major favorite city as we loved all the rituals, spiritual practices which made it an unforgettable experience for us.